My initial reaction? Woo Hoo! Although I never latched on to Against the Day enough to finish, I still have plans. I read Mason & Dixon as a recent college graduate with nothing to do but drink good beer, watch bad TV and read huge novels. The advent of parenthood has made it far more difficult for me to read these beasts. The new novel, according to rumor, is to be much shorter and hopefully something I can finish in under a year. My next reaction? This could be poppycock. 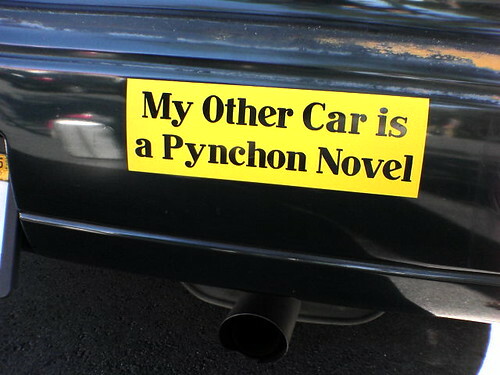 The Times’ post gives reason to hope that this is indeed true, but a Pynchon novel a mere two years after his previous one puts us in unfamiliar territory. Let’s keep our fingers crossed people.